"There is nothing more enticing, disenchanting, and enslaving than the life at sea," wrote Joseph Conrad. And there is certainly nothing more integral to the development of the modern world. 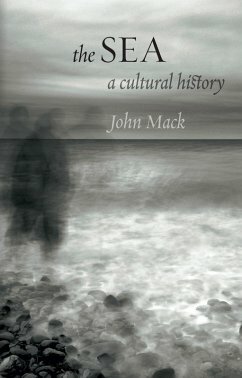 In The Sea: A Cultural History, John Mack considers those great expanses that both unite and divide us, and the ways in which human beings interact because of the sea, from navigation to colonization to trade. Much of the world's population lives on or near the cost, and as Mack explains, in a variety of ways, people actually inhabit the sea.The Sea looks at the characteristics of different seas and oceans and investigates how the sea is conceptualized in various cultures. Mack explores the diversity of maritime technologies, especially the practice of navigation and the creation of a society of the sea, which in many cultures is all-male, often cosmopolitan, and always hierarchical. He describes the cultures and the social and technical practices characteristic of seafarers, as well as their distinctive language and customs. As he shows, the separation of sea and land is evident in the use of different vocabularies on land and on sea for the same things, the change in a mariner's behavior when on land, and in the liminal status of points uniting the two realms, like beaches and ports. Mack also explains how ships are deployed in symbolic contexts on land in ecclesiastical and public architecture. Yet despite their differences, the two realms are always in dialogue in symbolic and economic terms.Casting a wide net, The Sea uses histories, maritime archaeology, biography, art history, and literature to provide an innovative and experiential account of the waters that define our worldly existence. John Mack is professor of world art studies at the University of East Anglia. He is also the author of Museum of the Mind: Art and Memory in World Cultures and The Art of Small Things.